The product description mentions that the vehicle will not only come packaged in a Vintage Collection box but will also include 2 action figures. 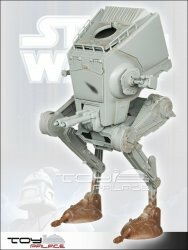 Toy Palace is expecting to get their stock in on 8/31 for 59,90 EU. Also note that the package is in multi-lingual packaging since Toy Palace is based in Germany. Does anyone know if the feet of the AT-ST Scout Walker is dirty with mud like in the picture? Why would Hasbro do that? Now you can't use this in a "Hoth Diorama". Maybe they will release an Empire Hoth AT-ST with clean feet? Yeah, this is specific to Return of the Jedi and the Battle of Endor. 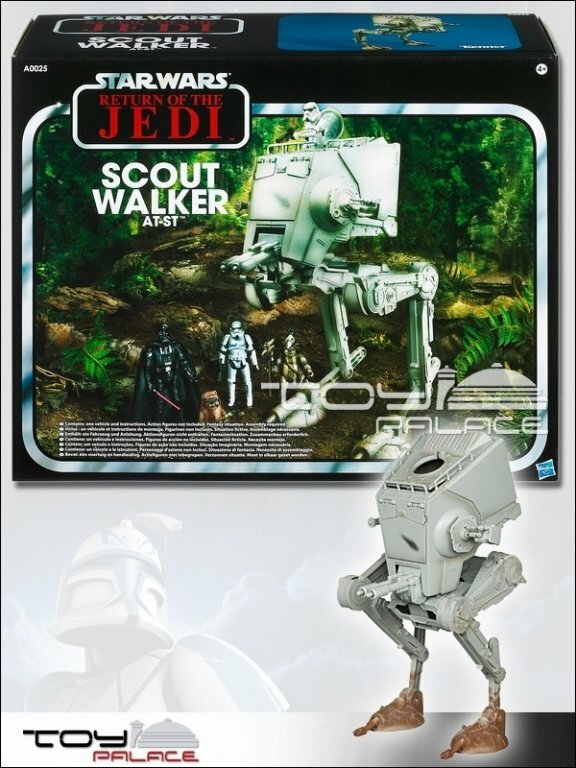 They released a Hoth version in 2010 as part of their Target exclusive Battle On Hoth set.